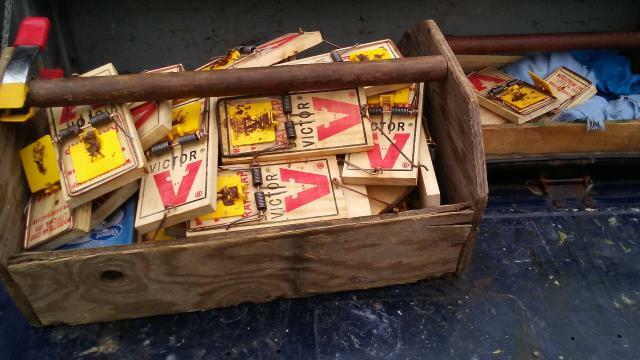 For the traditional style rectangular wood Victor 'rat/weasel' or mouse snap traps, which do you prefer: the older style small metal bait device, or those with the large flat square yellow cheese looking bait tray? Last edited by AJE; 12/01/18 01:47 AM. Large yellow pan on both. Depends on the bait. I've had great results with the large pan and small tab wrapped around the bait. VPRT's aka "yellow pan" are what I like to use. When I come across a traditional trap and use it without adding a piece of flashing to it, it gets a slight mod to the pan and trigger system, which takes little to no time to do. That helps when you fall behind on trap maintenance and rust starts to appear with traditional pans when used outdoors. 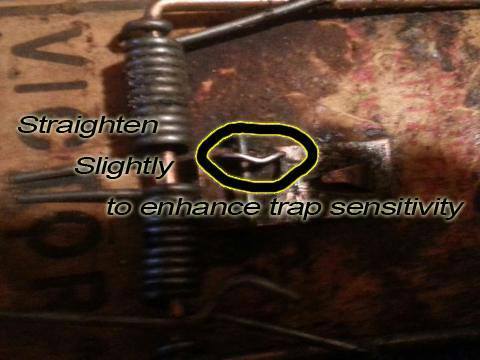 Majority of traditional traps get a piece of flashing. I suppose part of the benefit of the yellow style is that the trap will go off if they step on the pan. Last edited by AJE; 12/05/18 01:34 AM. JMO, Most rodents skirt right by the traditional traps. Larger trigger plate exposes much more surface space for contact. They come pre-baited but I trap a lot more using bait. The ones just placed along the walls with no bait caught little to none. 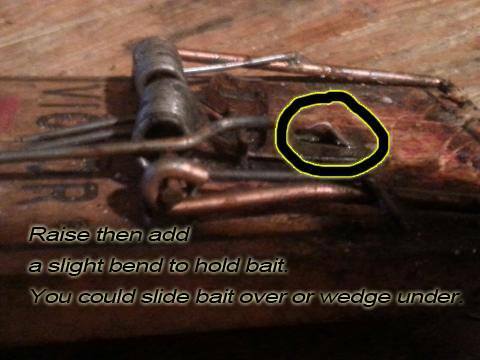 All traps get a squirt or dab of bait and stay pre-baited. 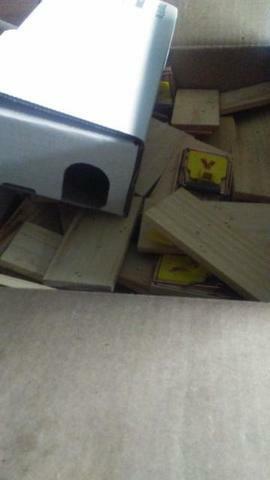 I found that the rat traps with the big yellow pan will even catch mice . TDHP, I was skeptical of how they say those yellow ones come prebaited. That was going to be my next question, but I think you just answered it. 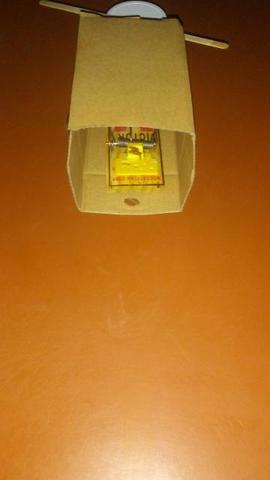 I wouldn't set rat traps without bait in hopes that the pre-baited traps got the job done, that's just me though. The experts may not need bait, I rather not take that chance, time is money on adc work. Had a customer who had a bunch of those around his house. The pb was dried out and traps were empty. When you need to set 2 to 4 dozen traps on a property those just don't cut it for me. I use boxes if I need to change the scenery. How do you sneak those traps through narrow areas with grabbers preset? My change up...I give a squirt or dab of bait on the entry if need be and trap'em like clock work. Can also change trap direction for run throughs. Thanks for posting the pictures, TDHP. On overfill on the pans.. I let the kids bait the traps. Overfill is a good thing IMO. JMO..you want rodents to continue advancing onto the trap platform. Overfill will allow them to continue to feed with a sense of false security until the next set whether there was a miss or feeding around a dead rodent in the trap. Drawing them to that location is the objective. Overfill has many benefits and will help speed up the job in most cases. 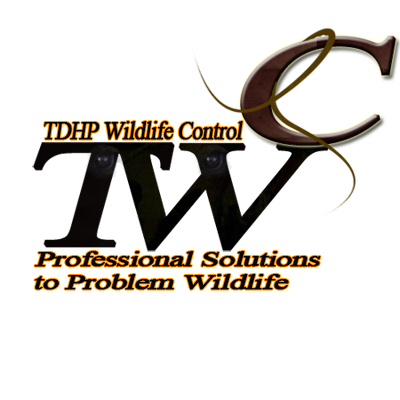 If there isn't an infestation most of the time all I have to do is remove the rodent and then rest without baiting. 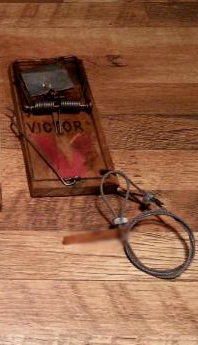 Even the traps that aren't used, bait sits on them for weeks to months. When it's their turn, set and go. I lace up rodent jobs, in and out money in the bank. 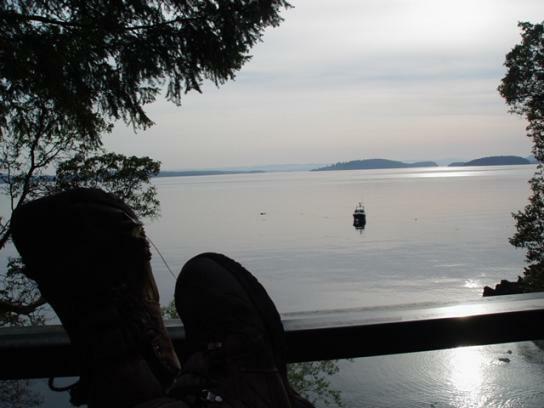 What do you use for bait? I hope it's not a trade secret. My sincere apologies run, it is, I make and sell it. Don't believe I can say the name either with the rules hea, but I use a paste and a liquid/runny form of the same product for all my rodent work from mice to squirrels. Can I buy it off your website?